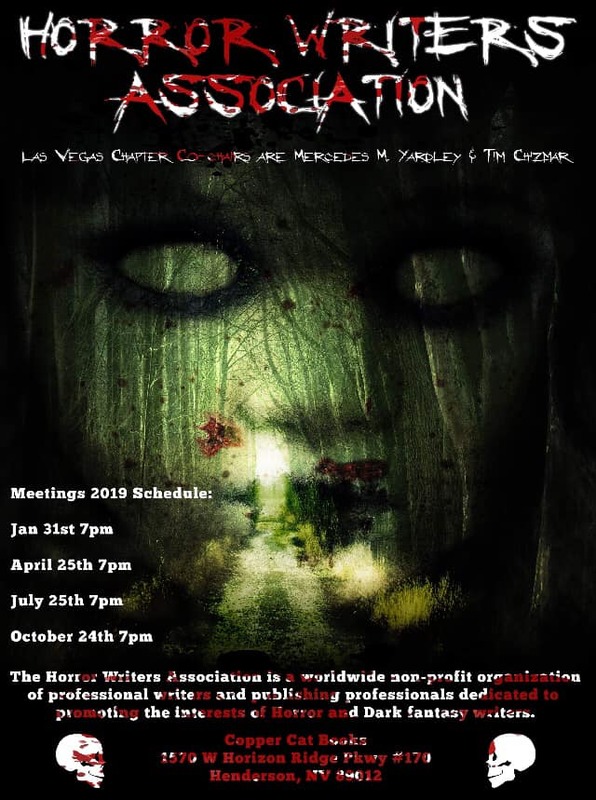 Posts Las Vegas Horror Writers Association Meeting This Thursday! Come down and join us because we always have a fantastic time! REMINDER: In 2019 there will be four quarterly meetings for the official HWA Las Vegas chapter. Last Thursday of the month in January, April, July & THE NEXT TO LAST THURS IN October. 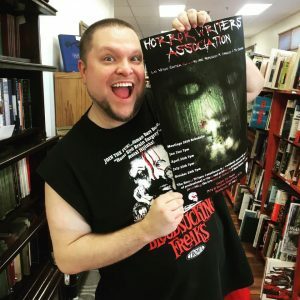 Please join us if you are a writer, reader, or fan of things that go bump in the night! Co-chairs are Tim Chizmar & Mercedes M. Yardley. We will meet at Copper Cat Books.